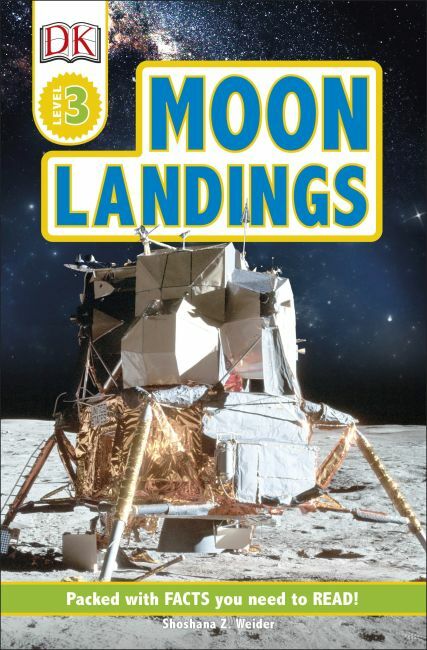 Boost reading ability while learning about moon landings in this factual space book for children. Follow Neil Armstrong, Buzz Aldrin, and Apollo 11's third crew member, Michael Collins, as they set off on one of history's most important missions. Learn about the people and spacecraft that came before and have followed since, and discover what it takes to become an astronaut. Packed with fun facts for kids, this innovative series of leveled guided reading books combines a highly visual approach with engaging nonfiction narratives. Reading levels progress from brief, simple text in the early readers, to slightly longer, more detailed nonfiction chapter books, to challenging nonfiction containing rich vocabulary and more complex sentence structures. DK Readers are assessed by both Fountas & Pinnell and Lexile levels, and are ideal for learning to read, for subject research, and of course, for children to read for pleasure.